Investor, entrepreneur, author and former Anchor on ESPN, James Swanwick, helps people improve their sleep with his “Swannies” blue light blocking glasses and encourage people to live more productively without alcohol through his 30 Day No Alcohol Challenge. 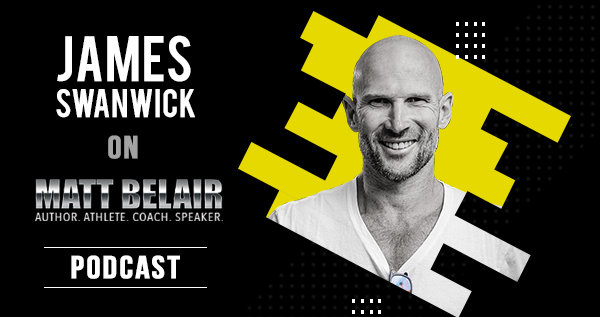 In this episode, James and Matt Belair discuss the benefits of giving alcohol a break, how to quickly and easily get better sleep, and simple keys to be a successful entrepreneur. Tune in to gain some valuable life lessons today. Check out James’ 30 Day No Alcohol Challenge.